The Falmouth Jamaica cruise port is still up and coming, currently being developed in part with some of the biggest cruise lines in the world. 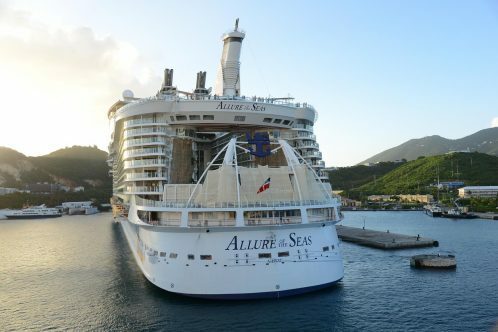 However, it’s becoming a more and more popular stop on many Western Caribbean cruises thanks to its proximity to some world class beaches and a notable, friendly atmosphere. There are many things to do in Falmouth Jamaica, and some of the most popular take advantage of the island’s natural beauty and rich history. From exploring the jungle to learning about the past of some of the island’s great houses, there is something for everyone to do once they venture away from the Falmouth Jamaica cruise port. Whether hunting adventure or trying to find a way to keep children entertained, you’ll no doubt find something right up your alley on our top ten list of the best things to do if Falmouth is on your itinerary. 1. Cornwall Beach: Situated right next door (literally, right next door and there is a wall to separate them) from the popular boozy night spot, Doctor’s Cave, is Cornwall beach, which is the perfect spot for those seeking a little seclusion. Anyone trying to avoid the busy beaches often recommended at the Falmouth Jamaica cruise port will find Cornwall Beach idyllic, and that it boasts more than enough room to have a spot all to yourself on the crescent bay beach. There are chairs to rent here if you don’t want to bring your own, and people traveling with kids will find Cornwall Beach perfect if tipsy tourists aren’t on your agenda. 2. Supreme Restaurant: Cruises to Jamaica are not complete without sampling the local cuisine and since limited time is available once guests step away from the Falmouth Jamaica cruise port, it’s a good idea to head where the best of the best in terms of local eats can be found. The Supreme Restaurant, found at the heart of Falmouth city near Water Square is just such a place. Jerk that the island is famous for can be found here, where plates are piled high with chicken, conch and pork and delectable sides like plantains and yams drive home the authentic experience. An open air deck allows visitors an opportunity not to miss out on all the sights and sounds that the Falmouth Jamaica cruise port has to offer while dining an afternoon away on some local fare. 3. Dunn’s River Falls: Exotic landscapes are the hallmark of Western Caribbean cruises, and those who choose to venture away from the ship while ported can explore some of the most lush and tropical environments on the planet. Dunn’s Falls, where waterfalls swimming is encouraged and so is climbing – about six hundred feet that is, if you’re daring – is one of the most popular excursions booked from the Falmouth Jamaica cruise port. It’s an hour away however by Taxi and may limit the amount of time available for other tours and excursions. Guests say it’s worth it however, and for first timers, it’s a pretty hard place to pass up. 4. Tubing on Martha Brae River: Gently gliding along the Martha Brae River is a family friendly activity; however, it’s best suited for older children. The cool clear waters of the river are a welcome relief for many from the Jamaican heat, and the tour cruises past the home of a purported legendary Indian witch that was thought to have hid gold along the river banks. 5. Falmouth Heritage Walking Tour: There are numerous historical choices to consider when booking tours at the Falmouth Jamaica cruise port, but one of the best ones for learning a lot about the area and the island in general is the Falmouth Heritage Walking tour. This tour lasts about two hours and takes guests to areas in town that are notable for their architecture or their role in the island’s history and stops by area favorites like the Anglican church, the oldest public building in Falmouth. 6. Private Beach at Bounty Bay: Western Caribbean cruises provide guests a unique opportunity to sample some of the best beaches in the world at numerous points along their adventure. Those found on the northern coast of Jamaica are not to be missed, especially the private beach at bounty bay. There’s a charge to visit this beach, but guests are happy to pay the toll as it’s said to be one of the most scenic in the area. A mere ten minute taxi ride from the Falmouth Jamaica cruise port, it’s close enough even for visitors with quick stops but far enough away to truly feel away from it all. 7. Rose Hall Great House: The Great Houses of Montego Bay are a very popular tourist attraction, but one stands out from the rest, and that is the Rose Hall Great House. As spectacular as the rest in terms of appearance, it’s the history behind Rose Hall that makes it so remarkable. The house is said to be haunted by the ghost of Annie Palmer, who has been dubbed “The White Witch.” The house can be visited through Great House tours booked at the Falmouth Jamaica cruise port, and there’s a bit of a taxi or shuttle ride involved to get there, however it’s an excellent opportunity for first timers to encounter some of the legend and lore surrounding the island of Jamaica. 8. Good Hope Great House: Previous home to John Tharpe, the one-time owner of much of Falmouth’s waterfront, Good Hope Great House is a former sugar plantation that provides a whole lot more to guests than just checking out a former regal manor. Visitors can take high tea or have lunch on the property’s some two thousand acres and also hope aboard a buggy for an old timey tour. Horseback rides and even watersports are available here ensuring that there is something for everyone to enjoy at one of the most historic stops in the area. 9. Mystic Mountain: Undoubtedly the most popular of all excursions available from the Falmouth Jamaica cruise port are those that head to Mystic Mountain where jungle tours, zip lining, chair lift rides and even a mountain-side gravity operated roller coaster can be found. It’s a perfect adventure for every guest and caters to both families and adrenaline junkies alike. Plan to spend a day at Mystic Mountain on a rainforest adventure you’re sure to not soon forget. 10. Free Historical Stops: Haggling and high prices are not uncommon at the port and for those tired of it all, it’s good to know that there are some free things to experience just a short walk from the ship’s dock in Falmouth. Water Square, home to delightful fountains and gardens, is a great place to catch up with friendly locals and learn why the area’s claim to fame is literally running water (spoiler alert, they beat New York City to the punch!) A stroll by the architecturally amazing courthouse is worthwhile and so is checking out the Baptist Manse.